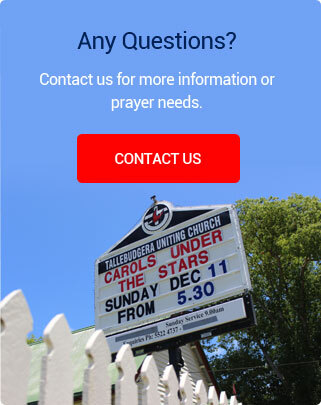 Tallebudgera Uniting Church is excited to announce the launch of our new website. We recognise emmbracing digital technology is important in publishing church events to the community and bringing people into the church. We would like to thank everyone for their support. Copyright Tallebudgera Uniting Church 2016.